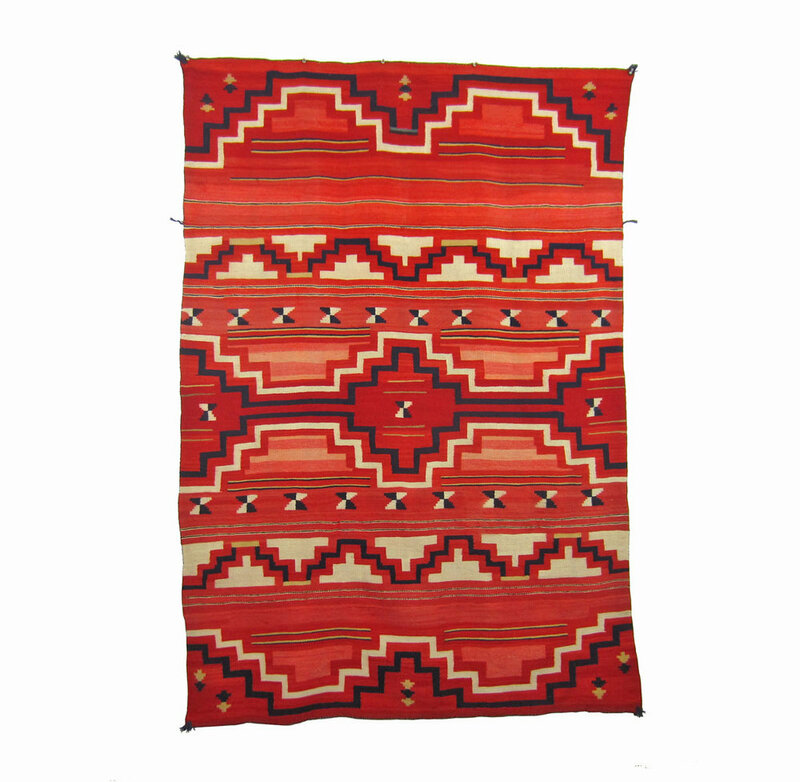 We have recently acquired this Late Classic serape and are thrilled to offer it for sale. Those of you who receive this Blog are receiving first notication about it! Handspun wool, including the following: natural white, synthetic-dyed red, blue indigo; green indigo and rabbit brush; yellow rabbit brush; pink that is synthetic red and white handspun carded together.